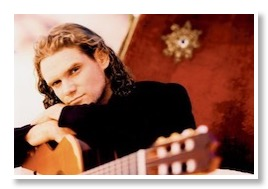 Jesse Cook is a creative artist who is known for his artful guitar playing. As an international musician, from Spain, Cook has traveled and recorded world-wide and is drawn to different music from diverse cultures. 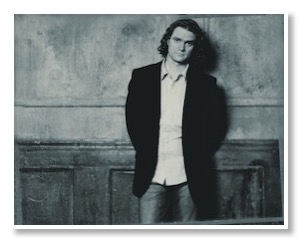 Cook has gained a love of classical, jazz, pop, gypsy, and flamenco music over the decades and has blended these influences to produce a warm and welcoming sound. Since his debut record in 1995, Cook has 10 studio albums, a live album, and two hit compilations to his credit. And since that time Cook has earned the Juno Award for Instrumental Album of the Year in 2001, and the Juno Award for World Music Album of the Year in 2011, 2008, 2004, 2001, 1999, and 1997. Currently Cook is on tour, and in this recent interview he talks about music writing and his enjoyment of touring and playing for new audiences. G.M. Burns: Your recent release Beyond Borders has the feel of world music and your signature flamenco playing. But you balance the contrast of the softer and peaceful “Unchosen” compared to “Hendra” which is played with great energy. Can you talk some about that process? What was it like for you? 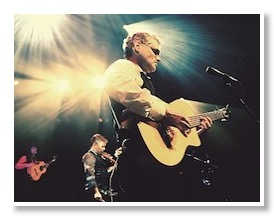 Jesse Cook: When there are no lyrics to sing, you’re just left with the music and the feelings it evokes. I try to be as emotionally honest with the material as I can. For sad songs like “Unchosen,” I try to put myself in the state I was in when I wrote the song. Sometimes I’ll try to remember what was happening in my life at the time, and the emotions I was feeling. For the happy songs like “Hembra,” it’s easier. Some songs just make you want to dance and celebrate. What did you learn about the creative playing from that release that you would like to expand on later? The more I experiment with world music, the more I want to travel, explore, and discover more. It’s a big world out there. Which do you feel you enjoy more: is it the writing, recording, or performing live? They are so different. I love them both, but for different reasons. The studio allows you to be very precise about what ends up in the recording. Live music is a different beast. Whatever happens, happens. You just have to embrace the spontaneity of it. You have been on the road a great deal this past year. And you’ve been on the road many times over the years. Is it harder or more enjoyable to be touring now? Touring gets easier every year. We have more help (crew) these days. In the old days we were driving ourselves in a van. These days it’s jets and tour busses. I bring my own espresso machine. That helps a lot. Also, I love traveling to places I’ve never been. This year we’ve already been to California, Saudi Arabia, Dubai, Abu Dhabi, and we’ll be going to China in May. It’s a pretty fun job. In your past concerts you work to play a cross section of songs from previous releases. What can your audience expect from your upcoming performance? We always try to play a mixture of old and new material. At this point I have 10 CDs. if I don’t play the old songs people will hate me. Would you like to add anything else about your music and would like people to know? I just started a new series called “Friday Night Music”. I post live performances from my travels every Friday at midnight on YouTube, Facebook, Instagram, and Twitter. I hope people will follow the journey.